There has been a long-standing debate on the relative performance between reciprocity-based (TDD) Massive MIMO and that of FDD solutions based on grid-of-beams, or hybrid beamforming architectures. 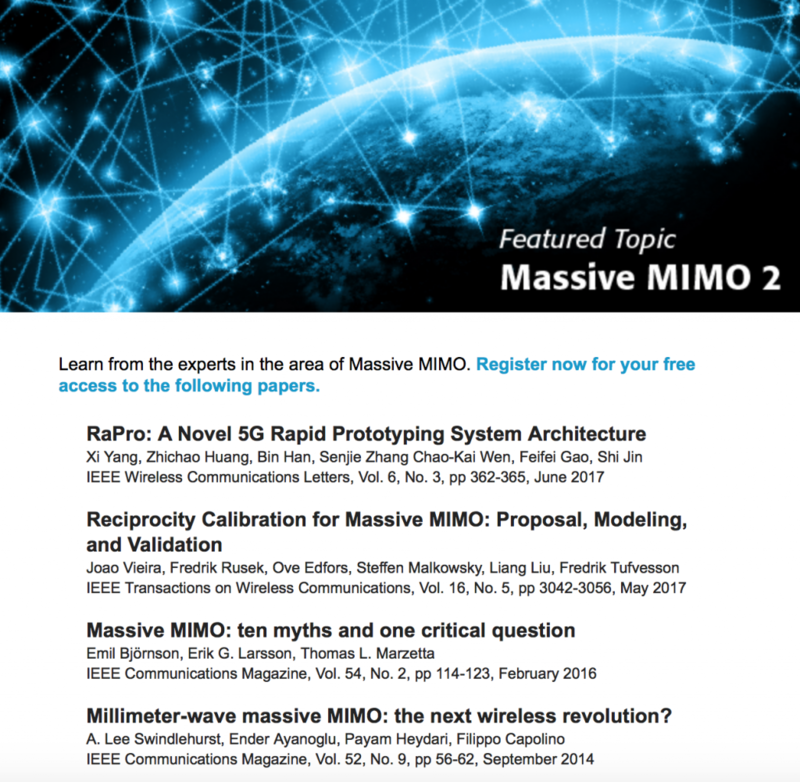 The matter was, for example, the subject of a heated debate in the 2015 Globecom industry panel “Massive MIMO vs FD-MIMO: Defining the next generation of MIMO in 5G” where on the one hand, the commercial arguments for grid-of-beams solutions were clear, but on the other hand, their real potential for high-performance spatial multiplexing was strongly contested. Massive MIMO Performance—TDD Versus FDD: What Do Measurements Say? answers this performance question through the analysis of real Massive MIMO channel measurement data obtained at the 2.6 GHz band. Except for in certain line-of-sight (LOS) environments, the original reciprocity-based TDD Massive MIMO represents the only effective implementation of Massive MIMO at the frequency bands under consideration.